Other NATO countries must “raise their game” and pull their weight as the US-dominated military alliance seeks to reform and stay relevant, the UK Defence Secretary Michael Fallon and his US counterpart James Mattis have said. Following his meeting on NATO and the post-Brexit “special relationship” with Mattis, Fallon told reporters those who failed to meet the symbolic two percent GDP defense spending commitment should at least agree to annual real terms increases. “Others must now raise their game, and those failing to meet the 2 percent commitment so far should at least agree to year on year real-terms increases,” Fallon said during a joint news conference with Mattis Friday. “Britain’s global leadership role is as needed today as at any time in history,” Mattis added, having cited an alleged terrorist threat coming from Iran, as well as having warned that North Korea poses a growing global threat. Both men also made multiple references to Russian “aggression” and Mattis referred to what he called Russian “messing about” in “other people’s elections” – a reference to American claims that Russia interfered in the 2016 US presidential race. 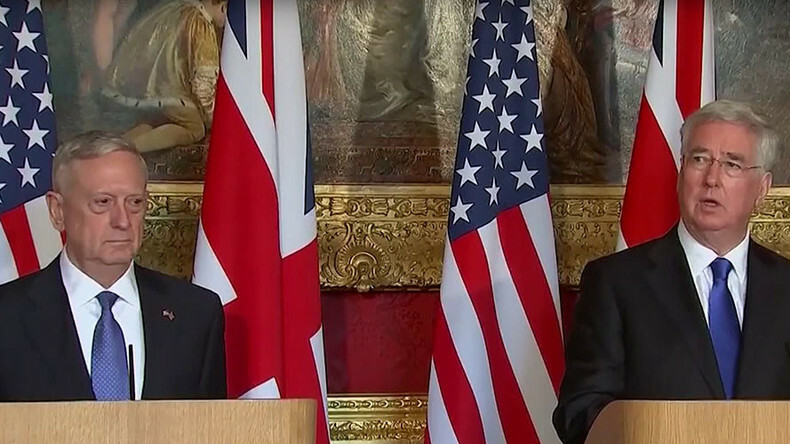 Ahead of their meeting, Fallon said UK's “defense relationship with the US is unprecedented in its depth and scope,” and pledged to invest more money into a joint military program. 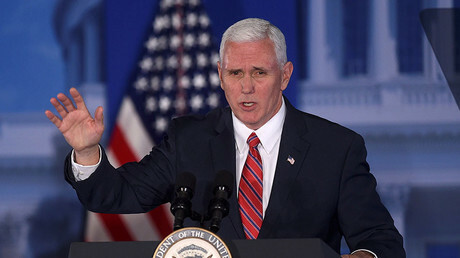 “As we leave the EU, our bilateral relationships matter more than ever, so we’ll be enhancing our cooperation and investing more in our joint F-35 fast jet program," he said in a statement. At the same time, "greater burden sharing" should be ensured among NATO members, the UK official added. "That means more European members committing to annual increases in their defense spending in order to counter an aggressive Russia and tackle terrorism and cyber threats." On Friday, the same issue was raised by US Secretary of State Rex Tillerson, who warned that NATO allies must boost defense spending or come up with plans to reach the bloc's budget guidelines within two months, AP reported. Washington is spending a "disproportionate share'' on defense compared with its 27 partners, Tillerson said at his first talks with NATO counterparts in Brussels. However, he promised NATO would respond to any threat against one of its allies. "We understand that a threat against one of us is a threat against all of us, and we will respond accordingly," he said. At a 2014 NATO summit, its member nations committed to working towards a guideline target of 2 percent of gross domestic product being spent on their military within a decade. Currently, only five members of NATO – the US, Britain, Poland, Estonia and Greece – actually meet the designated target of two percent of GDP. The EU’s average spending is about 1.5 percent, with Germany’s defense budget below that at 1.2 per cent. 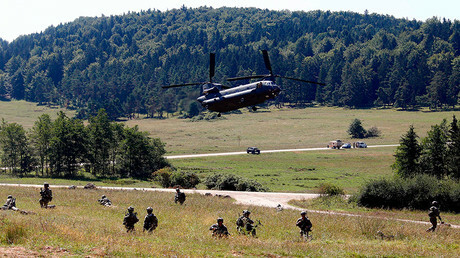 Some NATO countries, however, promised to swiftly increase spending to meet the demands. At least one more country, Romania, expects to meet the two percent mark in 2017. “Trump has been saying this from the beginning, he has been critical over various points of NATO but if you listen carefully to what he says he wants every state to spend 2 percent of their GDP on military spending,” German said. “This would mean a serious increase for many countries, who anyway are cutting back on their health and education as we are here in Britain, and we think it would be better spent on those kind of things than on NATO,” she added. German said the situation reminds her of the great power rivalries of the 19th century when major states started to shore up their military spending, a situation she described as very dangerous. Asked about recent UK deployments to Estonia, German said the role of Brexit cannot be ignored. She said the UK had framed invoking Article 50 – the EU exit clause – around it’s supposed security and military capabilities. The Ministry of Defence (MoD) also weighed in by talking down the EU’s financial contribution to NATO, an issue which the US and UK have repeatedly returned to. “When Britain leaves the EU, around 80 percent of NATO defense spending will be non-EU, and three out of the four countries leading NATO’s s enhanced forward presence in Eastern Europe [a force deployed to deter Russia] will be non-EU members,” the department said in a statement. The demands from NATO allies to allocate more to defense has been criticized by German Foreign Minister Sigmar Gabriel Friday, who said it would be "unrealistic'' for his country to almost double its current spending on the military. “I don't know a politician in Germany who believes that this would be achievable or even desirable,” Gabriel said, as quoted by AP. Saying that security is not about just combat, but also crisis prevention, the German official pointed out that his country spends a lot of money on refugees who arrive because of failed military interventions. 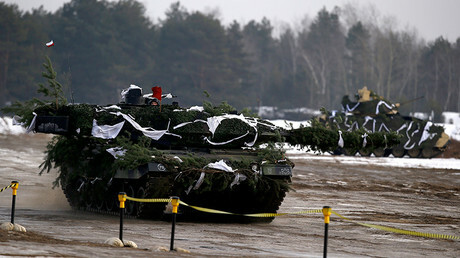 No other country could demand of Germany to spend 2 percent of its GDP on the military, he added.